Ibotta Review 2019: What Is Ibotta and How Does It Work? If you’ve been looking for ways to save on your purchases, chances are you’ve heard of Ibotta. Ibotta has taken the shopping world by storm, and for good reason. From grocery stores to hotels and everything in between, Ibotta gives you the chance to get cash back on the purchases you’re already making every day. The simple to use Ibotta app lets you get cash back on the go. With portable cash back offers right on your phone, it’s never been easier to earn real cash back on your purchases. And with multiple ways to earn cash back, Ibotta is a must-have for anyone who wants to save on their purchases. Ibotta has countless cash back offers that you can redeem right in the app, and when you complete your purchase, simply upload your receipt to take advantage of the cash back offers you selected. 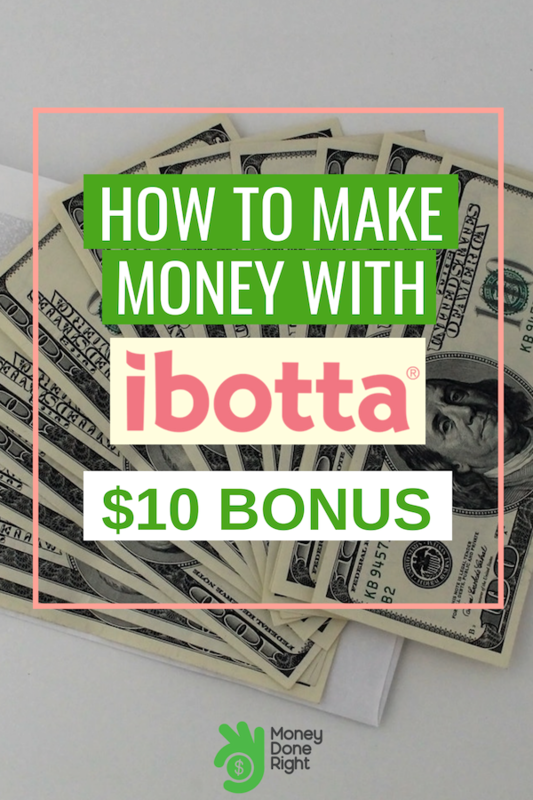 Whether you’re new to cash back sites or you’re looking for even more ways to maximize your savings, you should definitely check out Ibotta. Here’s our review of Ibotta. and how you can start earning cash back on the things you buy every day. As one of the most commonly used shopping apps in the United States, Ibotta is transforming the way that consumers shop online. Since Ibotta was founded, the company has paid out over $200 million in cash back rewards, and the Ibotta app has been downloaded over 20 million times. Ibotta partners with some of the top retailers and companies around the world to provide you with competitive cash back offers. With Ibotta, there’s no more hunting for discounts and no more carrying around coupons. Everything you need to start earning significant cash back is found right in the easy to use app. So really, what is Ibotta.? If you don’t have experience with cash back apps and sites, the process of signing up, selecting offers, and redeeming cash back might seem complex. Fortunately, there are some very straightforward steps that make using Ibotta simple. Here’s exactly what you need to do to use Ibotta. The first step is to sign up for Ibotta through the app. Click here to download the app and get a $10 sign-up bonus after you redeem your first receipt! Once you’re in the app, you’ll start seeing cash back offers for your favorite places to shop. When you sign up, you’ll fill out a questionnaire and select your favorite stores. Your home page will show tailored offers based on your selections, and you can always browse additional offers right in the app. Simply select the offers you want to take advantage of, and the offers will be added to your Ibotta account. Ibotta gives you cash back on everything from bananas to beef to booze! Once you’re done shopping, tap Redeem Offers, and you’ll be able to upload your receipt. You need to upload your receipt in order to redeem your offers, so if you don’t complete the process as soon as you’re done shopping, be sure you keep the receipt so you can upload the picture later. Once you upload your receipt, you’ll receive your cash back within 24-48 hours. As you can see, the entire process is incredibly simple, meaning you can earn cash back on shopping you do every day. You’ll be able to check your balance right from your app, and you can withdraw your funds via PayPal or Venmo as soon as you have $20 in your Ibotta account. You also have the option to redeem your balance in gift cards if you prefer, giving you plenty of ways to use your cash back through Ibotta. Ibotta works with countless retailers on competitive cash back offers, so be sure to check the app regularly to check new offers as they’re loaded into the app. Always check the offer details, as some offers to expire. Some offers have specific requirements, whether that’s the product you purchase or the specific store you visit, so check the disclaimers before purchasing. As you can see, Ibotta is incredibly simple to use, which gives you the chance to earn cash back every time you shop. Ibotta believes in a straightforward shopping experience, so you’ll have multiple ways to earn right through the app on your mobile device. As we already mentioned, when you select an offer and add it to your Ibotta account, you’ll be able to snap a picture of your receipt after your purchase. Simply tap Redeem in the app, and you’ll be taken to your offers page where you can upload your receipt. Take a clear photo of your receipt and select the relevant offers for that purchase. Some stores will require you to take an additional step such as scanning your receipt barcode in order to redeem your offer, but the app will walk you through all the steps you need to take to get your cash back offer. You can even upload long receipts by taking multiple photos, which means you can earn cash back on your biggest shopping trips as well. But how does Ibotta earn? Ibotta earns a small percentage of the sale since they were the ones to refer you to the retailer, making it a win-win for both you and Ibotta. With so many retailers offering robust rewards programs, Ibotta allows you to upload your loyalty program information to the app to verify your purchases and redeem cash back. Some retailers require you to upload your loyalty card information before getting cash back through Ibotta. When you choose an offer from a retailer, you’ll be prompted if you need to connect your loyalty card information. It’s important to note that you need to upload the loyalty card information and select your offer before shopping in order to successfully redeem your cash back. Using the loyalty card option on the Ibotta. app is a simple way to earn cash back on your purchases. Once you link the card and select your offers, there’s no need to upload your receipts and your cash back will automatically be added to your account within 48 hours. Ibotta partners with companies that also give you cash back for in-app purchases, so you can earn cash back without even leaving your home. You’ll find exclusive mobile shopping offers right in the Ibotta app. These offers work just like your in-store purchases. The Ibotta app links to your purchase page, whether that’s in a separate app or a webpage on your mobile browser. As soon as your purchase is completed, Ibotta will recognize the purchases and apply your cash back reward to your account within 48-hours, without the need to upload receipts or confirm the purchase in the app. We do recommend that you keep confirmation emails until you receive your cash back in your Ibotta account. Aside from shopping, there are even more ways that you can earn through Ibotta. There are two ways that you can refer your friends and family to Ibotta, and both methods will earn you cash in your Ibotta account. You can earn through a feature called Teamwork. The more members on your team, the higher the chance you’ll be able to receive a Teamwork bonus, which you can receive every month. The second referral method that will earn you cash in your Ibotta account is through direct referrals. For every five friends you get to sign up for Ibotta, you’ll earn $25. Even better, on your fifth referral, you’ll earn a mystery bonus of up to $50. The final way you can earn through Ibotta is by receiving bonuses, which Ibotta offers frequently. You can get cash bonuses by buying specific products, completing tasks, and by redeeming specific offers. There’s even a dedicated Bonus section in the Ibotta app, making it easy to find and redeem bonuses when they’re uploaded. We’ve talked a lot about the Ibotta app, but we wanted to focus on the app’s user-friendly design here in our Ibotta review. Since Ibotta is completely app-based, it’s important to have an app that’s simple, straightforward, and easy to use. Your home page will be filled with fun, relevant offers based on your shopping interests. You’ll be able to quickly add your offers to your Ibotta account, allowing you to redeem great cash back offers after every shopping trip. In addition to a tailored home page, you’ll be able to browse the countless cash back offers right in the app. Check your account balance, update your settings, and link your loyalty cards from the account tab. Look for the latest bonuses from the Bonus tab to earn even more through Ibotta. There’s a lot of great offers and information in the Ibotta app, but it doesn’t mean the app is cluttered or hard to use. Ibotta’s app is extremely simple, intuitive, and easy to use, meaning anyone can earn cash back through Ibotta. The first step to start earning money with Ibotta is by signing up. When you sign up, you’ll enter some basic information about yourself and select your favorite places to shop. The best part is that you don’t have to enter your sensitive personal information such as your bank account or credit card information. With payouts including PayPal, Venmo, and gift cards, your banking and credit card information is safe. Signing up takes just a few minutes, and you’ll be taken to your home page where you’ll find custom offers for your favorite places to shop. Here are some suggestions for making the most out of the Ibotta app. Most people think of grocery shopping when they think about cash back with Ibotta. However, Ibotta partners with top stores such as Target, Walmart, and Walgreens, and offers cash back on much more than just groceries. You can even get discounts on hotels, subscriptions, and even sites like Groupon. Check out some of your favorite stores and products to see if there’s a cash back offer on the app. Since Ibotta partners with so many retailers, there are always new offers being uploaded to the app. You should check Ibotta frequently to ensure that you’re not missing out on a fantastic offer. Be sure to check the Bonus tab often so you can take advantage of extra cash by completing fun activities or purchasing specific products. While Ibotta may sound too good to be true, we’re here to tell you that it’s completely legit. Ibotta has paid out over $200 million since it started, and that number is growing every single day. 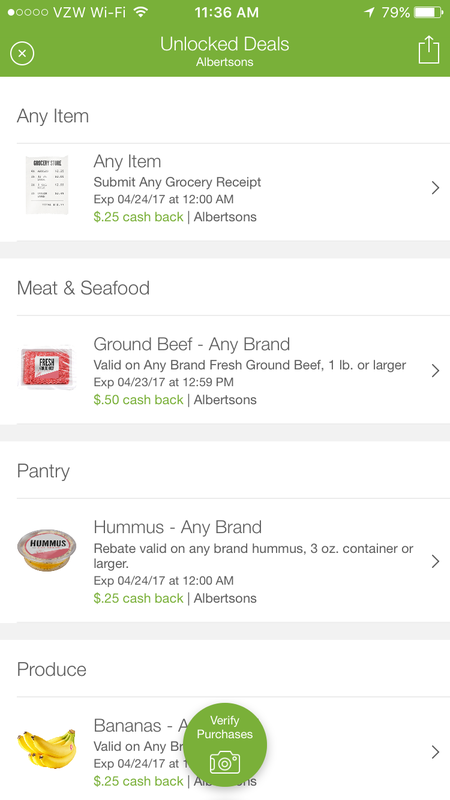 Whether you’re looking to save money on groceries or home goods, you can find a cash back offer on Ibotta. One of the best parts about Ibotta is that you don’t have to enter your sensitive personal information on the app. Not everyone is comfortable entering their banking or credit card information into a website or app, so it’s nice to see that Ibotta doesn’t require it in order to be paid out for your cash back offers. 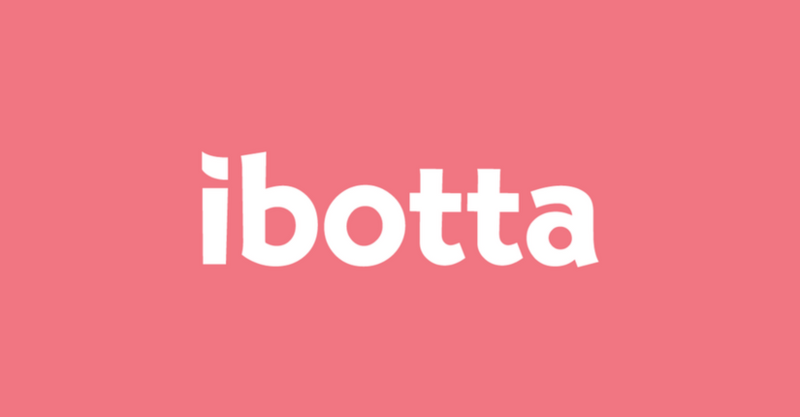 Ibotta is one of the most popular shopping apps in the United States, and for good reason. With robust cash back offerings, bonuses, and multiple ways to redeem your earnings, Ibotta is one of the best cash back apps available today. Simply upload your receipt, link your loyalty card, or shop right from your phone to redeem your cash back offerings. Everyone deserves to get cash back on their purchases, and we recommend starting with Ibotta.